Note that the weaker game described below has since closed and been replaced by a game which, by visitors’ accounts, is far stronger. 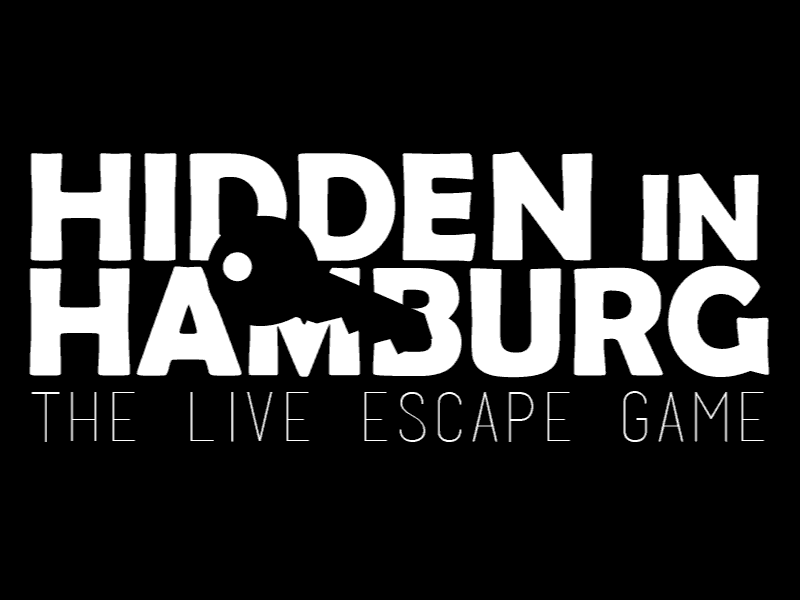 Hidden in Hamburg has two venues in the city, both aboard permanently docked ships. The two games on the Rickmer Rickmers (a green ship near Landungsbrücken station) are the original games and make use of the ship’s furnishing and history to create some “old school” experiences, while the Captain San Diego (a white ship about ten minutes’ walk east of the other venue) has three very modern games which could have been built in any location. Note that Google isn’t very accurate with directions, so I highly recommend using the map linked in the summary article and/or leaving plenty of time! Of the two games on the Rickmer Rickmers, Captain Overboard is the one I’d recommend, although it’s nowhere near as good as the (cheaper) games on the other ship. It might be of interest, though, if you want to combine escape-room-playing with a bit of culture: The game is set inside the captain’s cabin, with all the beauty that entails. I’d strongly recommend not playing Death on Board – it was hard to believe that it was from the same designer as the other four Hidden in Hamburg games. The reviews from the Captain San Diego are here and I highly recommend you check them out as they’ve got three stunning games. The Rickmer Rickmers isn’t the most beautiful ship from the outside but, once you’re on board in the area where this game takes place, it’s a gorgeous setting. Wood and brass fill the space to create an area which we found enjoyable to spend time in even without a game. This is a working museum and, when it’s not in use as an escape room, museum-goers can walk through the space. To be honest, they’d not done much to improve on that in terms of décor, but then they didn’t need to. That original venue didn’t always add to the experiences; for one, it meant there was a relative lack of space. With four of us it was reasonably full, and there were times where even accessing the puzzle we were working on was tricky. Although it worked with that number, I’d be reluctant to play as a bigger group. The period venue also meant that you had to be especially careful with the furniture, which caused us some problems with one of the locks being very stiff and causing us to worry about breaking it. The story was pretty simple: the captain’s already been thrown overboard, you’ve been locked up in his cabin and you’ve got an hour before things will end badly. There’s a little more colour added along the way – but not much – and so the only thing left to talk about is the puzzles. I hadn’t expected much on that front, with it being set inside a museum and there being less leeway to modify the space. I was pleasantly surprised, however, by the variety and novelty on offer. As you might expect, there wasn’t any use of tech in the room, but that didn’t mean the space was littered with padlocks for solutions. Pleasingly for a game where you might struggle to get multiple people to access some spaces at the same time, it’s not linear, allowing you to divide and conquer if you so wish. Having been pleasantly surprised with Captain Overboard, we went into our second game feeling reasonably upbeat. This one was on the other side of the ship, and I warn you now that, if you visit in the winter, it’s not likely to be warm. That may come as a bit of a surprise because it’s probably the smallest space I’ve ever played in, but I guess with three walls and a roof exposed to the elements it’s possibly not that surprising in retrospect. The game is set in the ship’s galley, which sounded very authentic beforehand but really didn’t feel anywhere near as “period” as the previous room. In fact, it just felt like an old-fashioned kitchen stacked up with pots, pans, crockery and utensils. And boy was there a lot of stuff to get through! Some people like searching, but I defy anyone to truly enjoy the searching that could be undertaken here. The problem was that the puzzles weren’t very clear so, when we did get stuck, we reverted to searching the room, which just led to continually increasing levels of frustration. To compound that, the game was pretty linear, so we’d invariably get a clue, get stuck again and rapidly become increasingly frustrated. One particular issue in this game hurt more than most: there were two separate puzzles that used very similar clue pieces. We ended up in a situation where we assumed we’d already used a host of props because we’d solved one of those puzzles but then found out that only a subset of them had been ruled out of the game. While technically you could argue that the ones we still needed hadn’t been used, it left us losing trust in a game which already wasn’t faring well. In the whole game, there was precisely one interesting moment for me, and it occurred right at the end, by which point the experience was well past redemption.